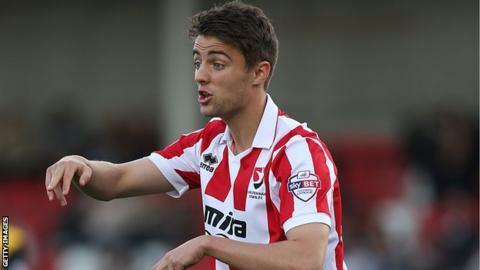 Midfielder Joe Hanks has signed a one-year contract extension at Cheltenham Town to keep him at the League Two club until the end of the 2015-16 season. The 19-year-old came through the club's academy and has made 14 first-team starts and 11 substitute appearances. He scored his first goal for the Robins on the opening day of the season against Bury and also netted against Dagenham in September. Hanks joins Omari Sterling-James and Zack Kotwica in signing improved deals.